WordPress 5.0: Should you update or wait? Published on: December 5, 2018 · In Notes · With 2 Comments on WordPress 5.0: Should you update or wait? As it stands right now, WordPress 5.0 will be released sometime on December 6, 2018. With all the controversy related to the Gutenberg (or Block Editor), question is, should you update now, or wait? The merge of the Gutenberg Editor into WordPress core for the 5.0 version started a few months ago, with release date getting postponed few times, and finally confirmed yesterday (on December 4) for December 6. From the information on the various WP support channels, many core developers were surprised by this, and you can read the full Matt Mullenweg announcement and a huge comments thread that followed here. That thread maybe doesn’t reflect the WordPress community as a whole (as Matt pointed out few times), but it does reflect part of the community that includes a lot of WordPress professionals that invested a lot of time and resources promoting and contributing to WordPress and WordPress ecosystem. And the same is true for a lot of comments on Twitter, where most of the professionals agree: WordPress 5.0 with Block Editor is not ready to be released tomorrow! But, that is going to be ignored, and WordPress will be released in the next 48 hours, just in time for WordCamp US (despite all the Mullenweg denials over the past few months about targetting 5.o to drop just before WCUS). Now, let me be clear, I support the inclusion of new editor in WordPress, but I had (just like many other WordPress professionals) suggestions to include easy option to disable Block Editor without adding extra plugins, simply by offering users a choice after the update to enable or disable Block Editor. That is not going to happen. If you want to update to WordPress 5.0, but stay away from Block editor, you can follow my previous article on the subject to make sure old editor remains active with new WordPress. It is questionable if the users that are not following the Gutenberg story will be aware of the full consequence of using the new editor, especially when it comes to editing the old content: if you convert old posts to Gutenberg format, you can’t go back without restoring the previous version of the post. Gutenberg formatted content will not work with the old editor, and it can’t be converted to old editor format. Yes, if you open the old post in the new editor without converting, it will be added as a Classic Block that will preserve the way the post is edited, but, as soon as you add new block, that’s it, there is no way to go back without losing the new block content. You can do it, but you will need to manually edit the source HTML for the post and remove block editor markup. And, that is not something a vast majority of WordPress users will be comfortable doing without breaking some element of the content. While Block Editor is fine in the current state, it is worth noting that for the sake of pushing WordPress 5.0 faster, a lot of bugs were simply pushed to later releases, a lot of bugs are not yet even classified as bugs because core developers don’t have enough time to test (and fix) them, and some bugs are quite serious, including terrible performance issues Block Editor has with long content or a lot of blocks added to the content, making the editor unusable. Add to that constant and fast changes added to editor and WordPress over the past few weeks, and the fact that plugin developers that have plugins related to Gutenberg, had no time to test all changes, so you can expect a lot of plugins, even once with support for Gutenberg to be potentially broken (or buggy) when the WordPress 5.0 is released. WordPress core developers aside, Matt Mullenweg remains insistent that WP 5.0 is ready and there is no need to wait. You can agree with him or not, but updating the website is an option and not requirement when it comes to WordPress 5.0. I have decided to hold of the update to WordPress 5.0 for all my websites until at least 5.0.1 is released. I am running 5.0 instances for testing purposes and will continue to do so, but for now, I am not comfortable updating live websites from stable 4.9.8 to 5.0 that I know has serious performance issues when Block Editor is used. Even when I do update to 5.0.1 or 5.0.2, I will keep Block Editor disabled for most of my websites, until I am sure that Block Editor is stable and that my websites will benefit from using it. I want to reassure all the users of Dev4Press plugins: all the plugins are tested with WordPress 5.0 last RC and will get through more testing once 5.0 is released, and so far, there are no known issues or bugs. But, that doesn’t mean that all is fine, and I urge all the users to report any issues with 5.0 as soon as possible, so I can fix them. Back to the main question: should you update to 5.0 or wait? If you ask me, wait. 5.0.1 and 5.0.2 should be released in the next month (if not sooner), and they should be much better in terms of stability. A lot of performance issues with Block Editor appear to be fixed, but not deployed to WordPress 5.0, and will be added later. If you insist on using latest WordPress, update, but make sure to disable Block Editor until 5.0.1 or 5.0.2 are released. And, if you plan to use PHP 7.3, you must update to 5.0, because as of today, WordPress 4.9.8 and older are not PHP 7.3 ready. 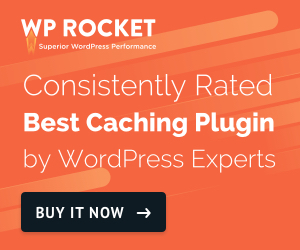 I will also run the extensive tests for WordPress 5.0 once it is released and will publish the review next week with benchmark information about the Block Editor performance. I would suggest to wait a bit before jumping on WordPress 5.0 wagon, other than its WordPress 5.0 seems really exciting with the latest updates in security, mobile optimization etc. Even its name is really unique “Bebo”, I was really surprised when I first read about it on Wpblog. Thanks for the comment! As I said in the article, either wait for 5.0.1 or 5.0.2 for stability and performance fixes, or install 5.0 now, but make sure to disable Block Editor. I will be running detailed tests for a full review soon.